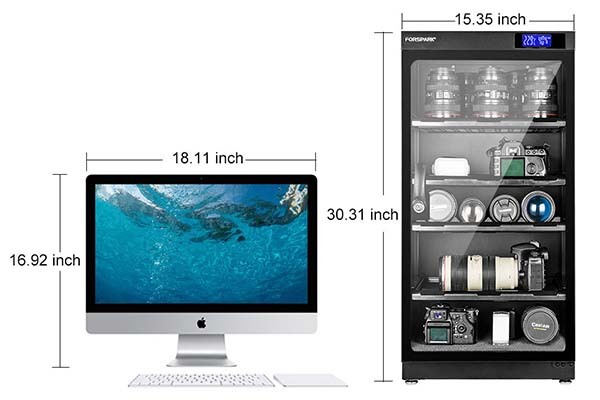 Keep your Digital Gadgets, DSLR SLR Mirrorless Instax GoPro Camera, Lens, Accessories in a good condition by the built in hygrometer in high accuracy humidity control. 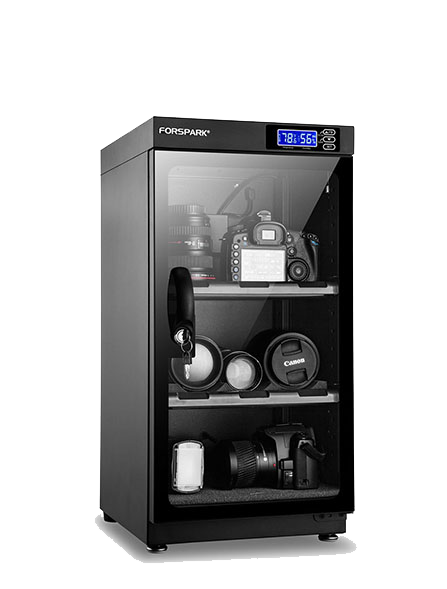 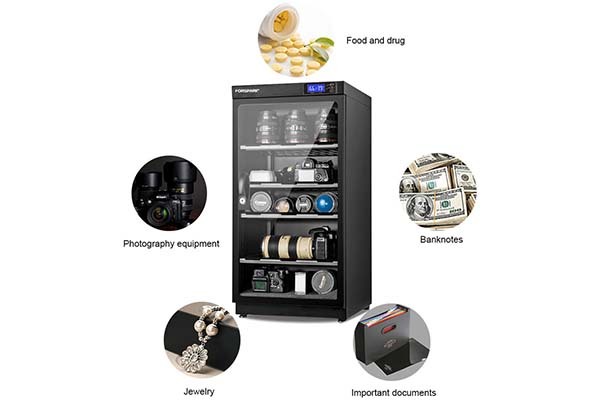 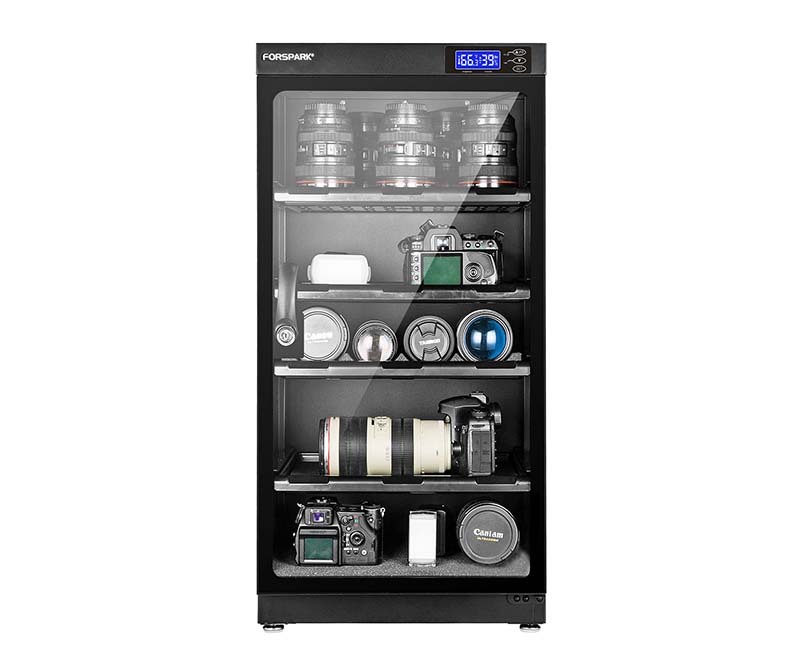 Dry Cabinet by FORSPARK has thermoelectric cooling technology (also referred as semiconductor) which is quick, quiet, heatless and therefore protects your items from moisture, moth, mildew, rust, dust, mold, fungus, rust, oxidation, warping and etc. 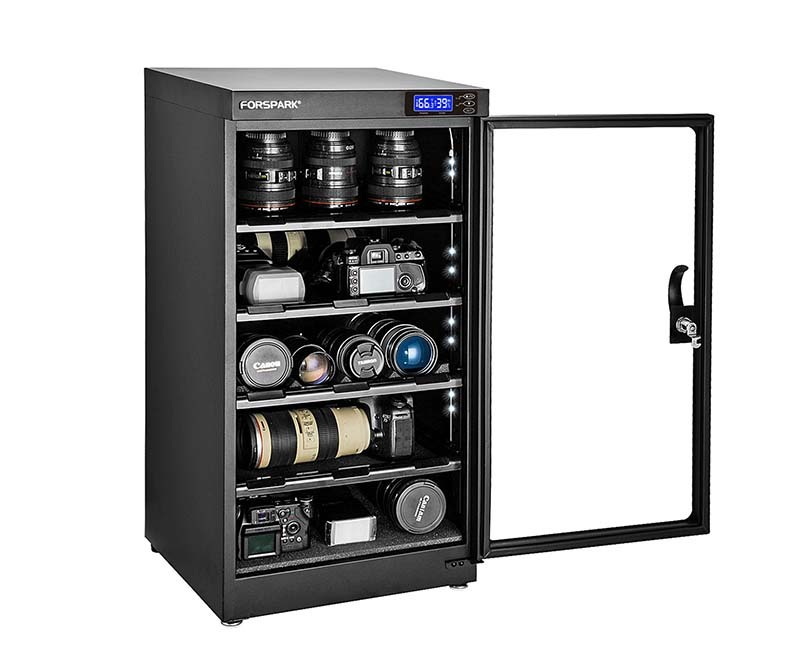 this camera lens storage is one of the safiest dry boxes available - it has safe direct current input therefore there is no leakage risks and potential fire danger. 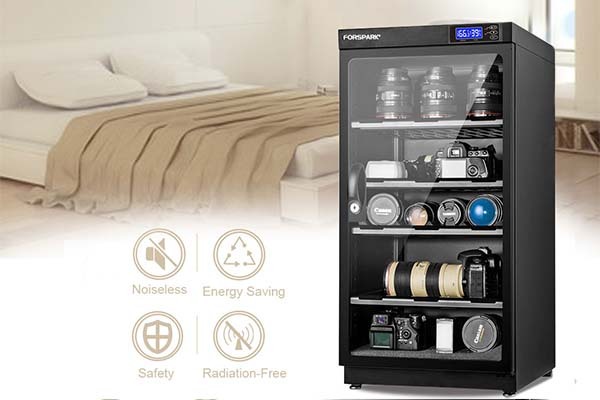 Moreover, you can place this camera dry box in your bedroom or babyroom without worrying about the radiation. 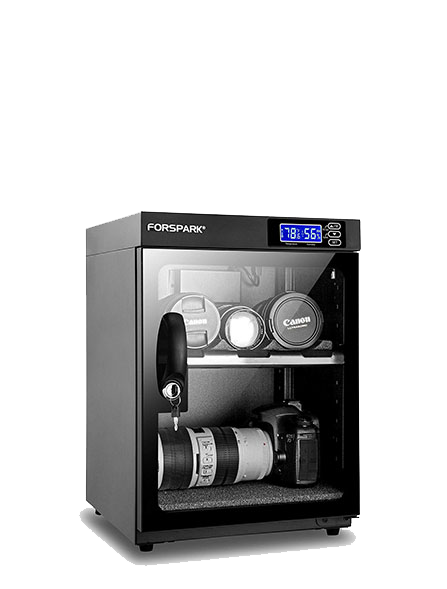 This dry box for camera has power saving mode that requires only 8 watts of power. 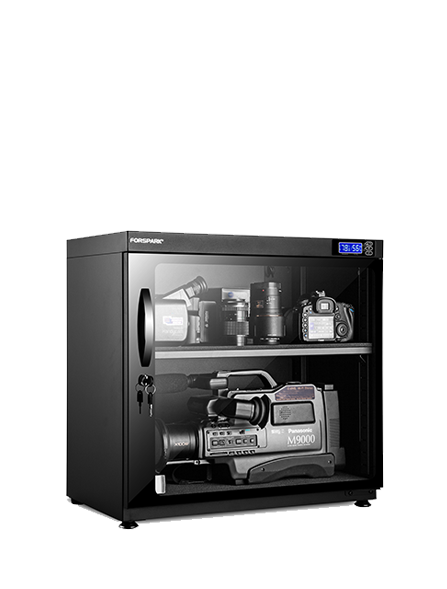 our camera dry cabinet has humidity sensor which offers accurate humidity control with ±3% differs (See specification to calibrate your hygrometer if needed). 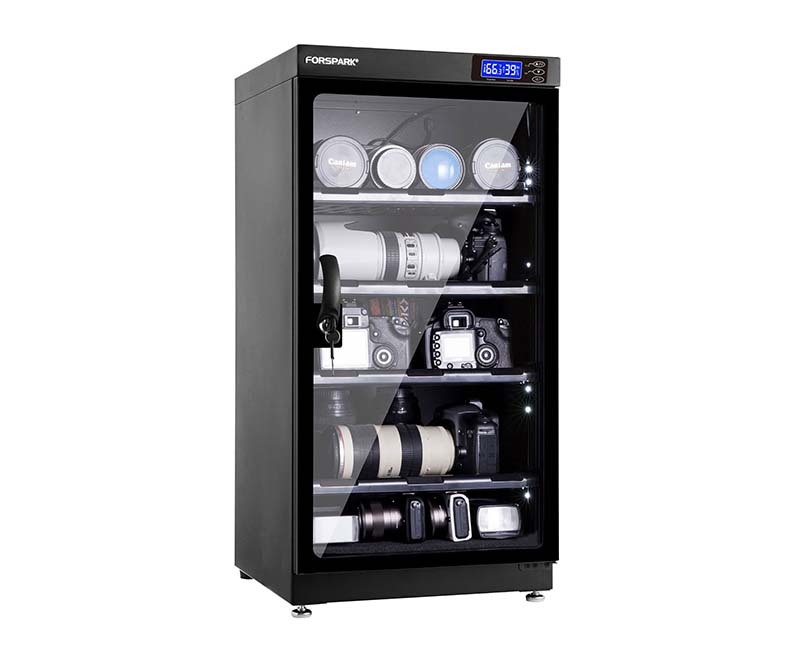 You can control the relative humidity level inside this camera lens storage in the range of 25% to 60%. 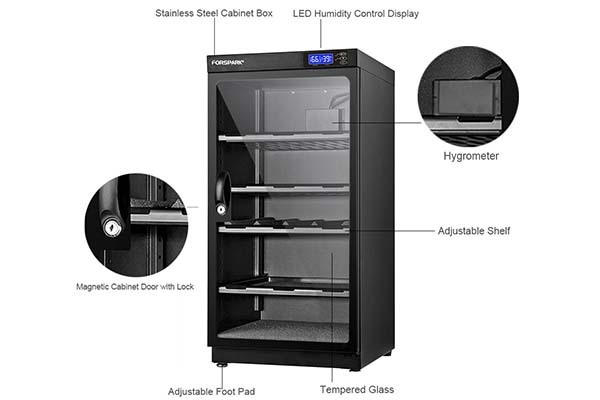 This dry dehumidification cabinet box begins to work the same second the power is supplied. 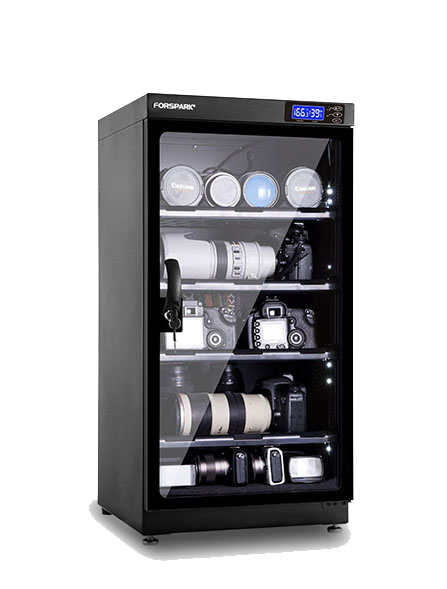 It has adjustable shelves for easy storage and retrieval. 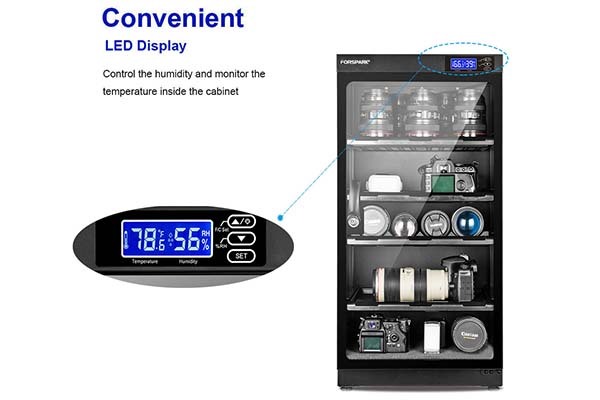 LED light display can be turn ON/OFF and dark/bright which will not dazzle your eyes at night. 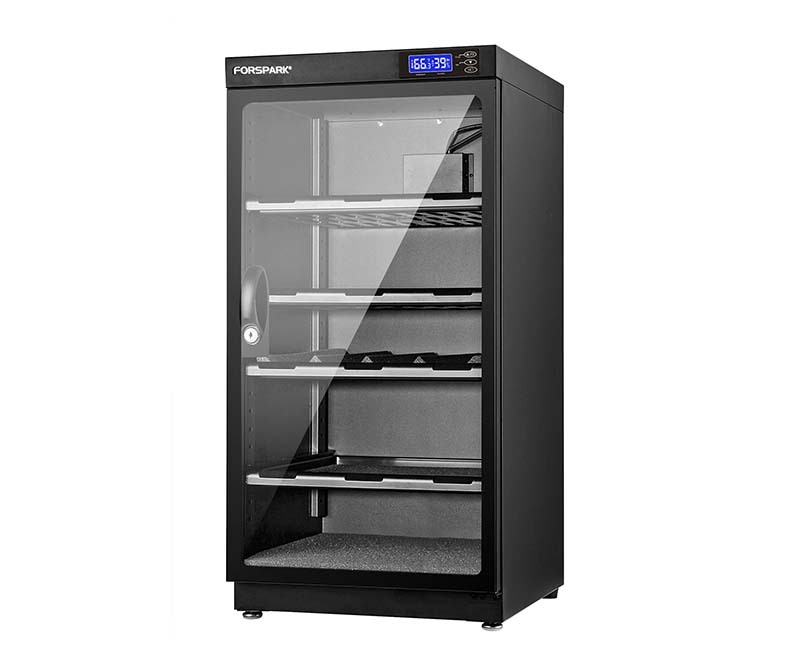 Durable toughened glass of magnetic cabinet door is sealing tightly. 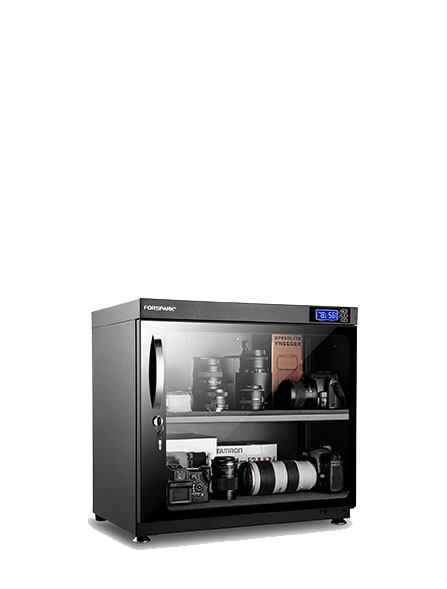 This dry camera lenses storage box has wide application as it may help you to preserve items such as: paintings, paper money, stamps, old books, leather, antiques, musical instrument, camera lenses, cameras, teas, tobacco, precious metals, jewelry, electrical components and etc. 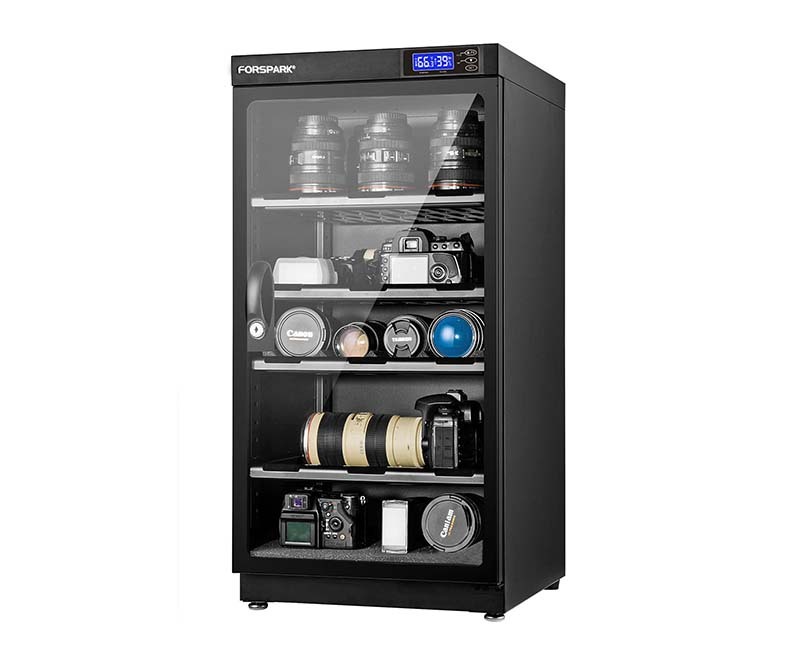 Simply place your valuables in the cabinet. 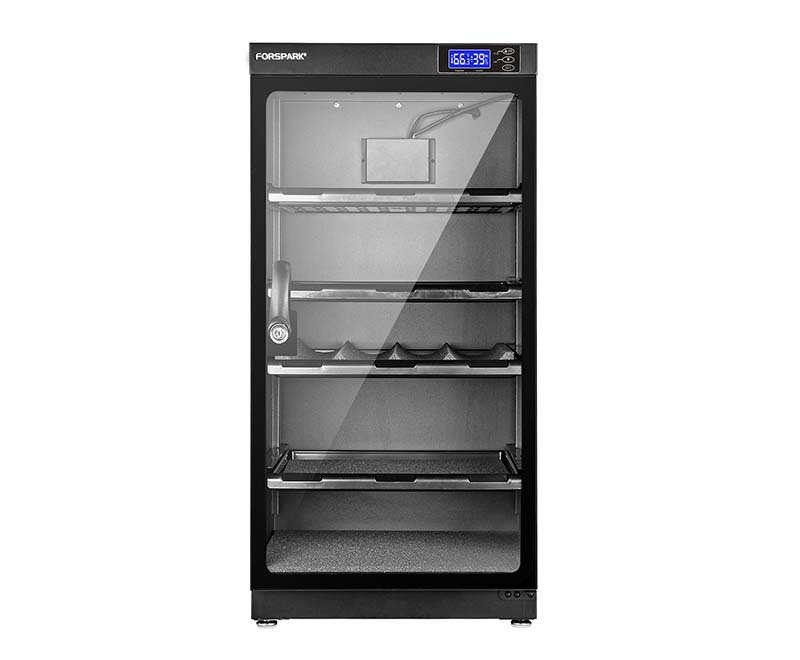 and set at the correct humidity level.